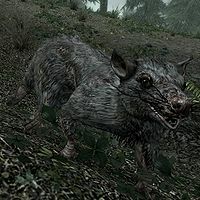 Skeever Tails are dropped by dead skeevers and can also be obtained from any spider web sacs that contain mummified skeevers. They cannot be obtained from already-dead skeevers found roasting over fires—those skeevers yield charred skeever hide instead. Skeever tails are dropped by all varieties of skeever, including venomfang skeevers and the Skeever Guardian Spirit.